We keep bringing you new Nougat ROMs for the Galaxy S7 and S7 edge, especially with a focus on those that promise to bring the latest and most exciting features from the Samsung Galaxy S8 and S8+. We will shortly be seeing some features coming from Note 8 too, but until that happens with stability, let’s settle with Galaxy S8. We have already shared with you the popular BatmanROM. Today’s guide focuses on Android Nougat ODEX AMBASADII Nougat ROM for Galaxy S7 edge. Unlike what we usually do, this post brings installation steps directly from the developer, so proceed at your own risk. We have also shared the developer’s thread if you want to check out all the details or need any support. Latest bootloader/modem S7 Flat / S7 Edge included to aroma installer! Rooted by SuperSU or Magisk ! Note: For a detailed changelog, bugs, complete installation steps, and more details visit this XDA thread. For a guide to install this ROM on Galaxy S7 G930F, check out this post. Backup any important data from your Samsung Galaxy S7 edge as a complete wipe will be required during the flashing process. Enable the USB debugging option on your device: Settings > Development Options > USB debugging. 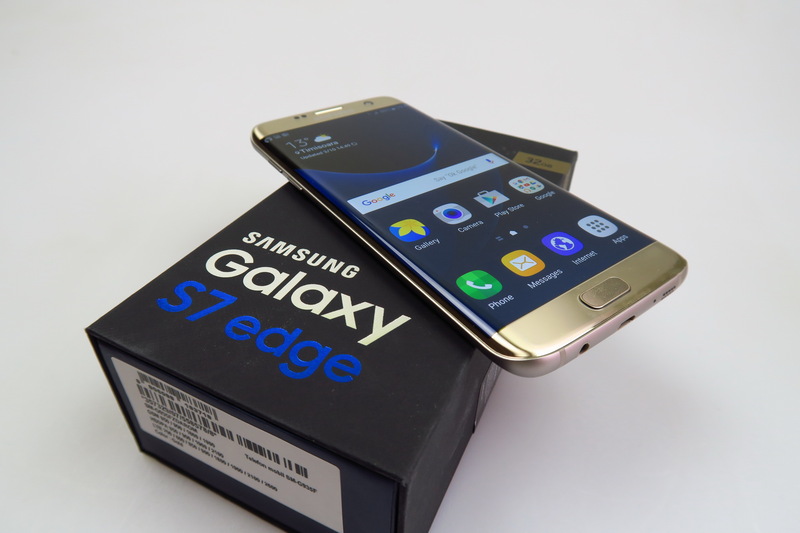 Samsung Galaxy S7 edge must be rooted, unlocked and installed with a recovery tool like TWRP. Your device must be charged to at least 60%. Here’s the recommended installation method from the developer (slightly edited for clarity). Download no-verity-opt-encrypt-5.1.zip file and then copy to the memory card. Activate developer mode on the current system and turn on the option enable OEM. Reboot phone mode to download mode and flash using Odin (AP) TWRP recovery [you must turn off autoreboot options in Odin and after flash manually reboot the phone into recovery mode]. Go to options and select wipe data format – write “yes” then after finishing wipe necessarily restart phone to recovery mode [ATTENTION this operation will clear the memory of the phone without touching the data contained on the ex-scdard]. Confirm “allow modifications” if recovery asks. Flash in the recovery file no-verity-opt-encrypt-5.1.zip. Reboot Galaxy S7 edge to recovery mode. Go to wipe option and do all wipes: data, cache, system , dalvik-cache. Restart phone and wait for system booting. For complete features list, links and installation guides, head over to the developer’s thread.